Materials for submitting coursework samples and scripts – What can we help you with? Sheets of labels for identifying individual pieces of internally assessed samples. Two sheets per school. Complete the labels and attach them to each piece of work in the sample. Brush with water to make adhesive. 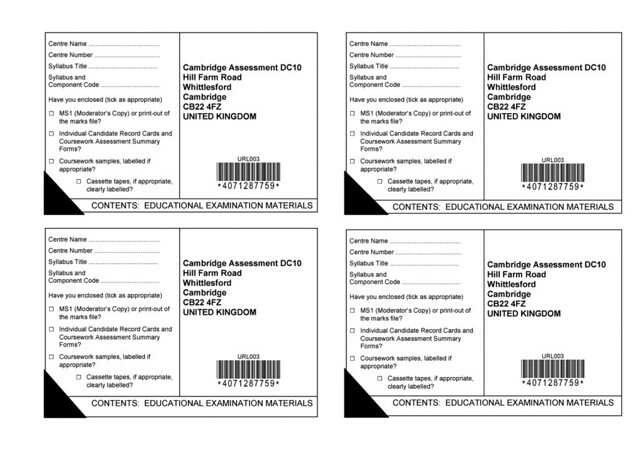 Sheets of labels to attach to individual pieces of Cambridge IGCSE Art and Design coursework. 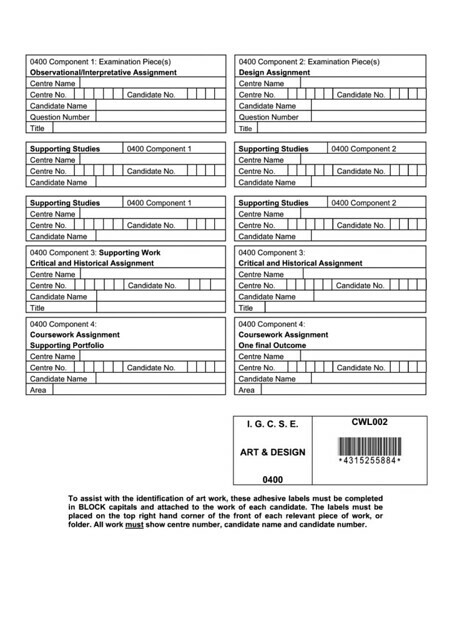 One sheet per candidate. Complete the labels and attach them to each piece of work in the coursework sample. Brush with water to make adhesive. Barcoded script packet labels for tracking scripts. One label per component. Attach the correct label to each script envelope. 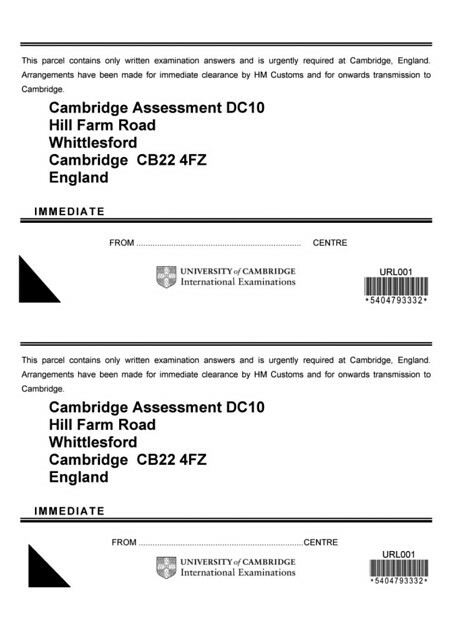 Sheets of labels for sending internally assessed samples to Cambridge for moderation. Two sheets of labels per school. Attach a label to each consignment of internally assessed samples being despatched to Cambridge. 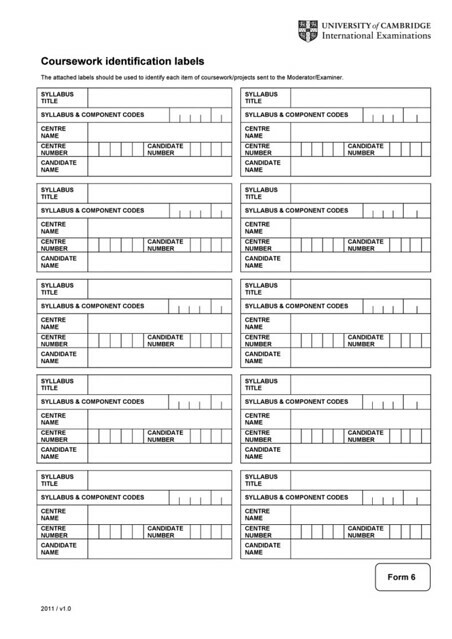 Please use a traceable method for returning samples and keep a record of your courier details. Envelopes for the return of scripts or coursework. 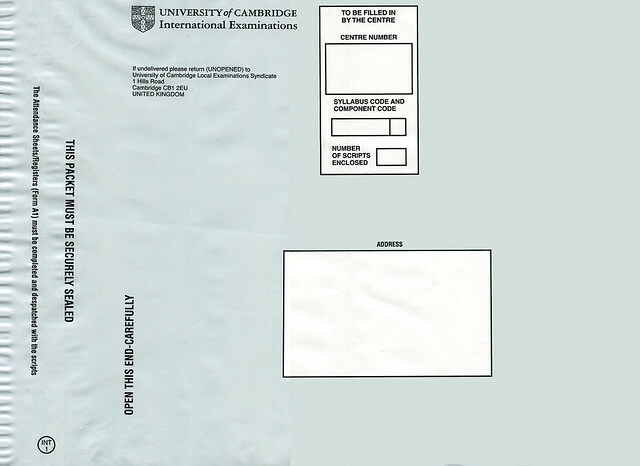 There are four different sizes of envelope for you to use depending on the size of materials you are sending to Cambridge. 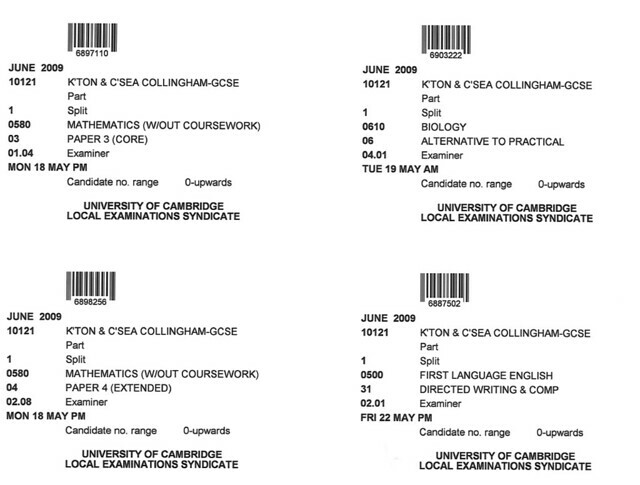 One envelope per timetabled exam. After each exam, pack the scripts or internally assessed samples for the component into the relevant sized envelope (scripts and samples for different components must be packed separately). Enclose the correct attendance register and complete the information on the front of the envelope. Please use a traceable method for returning your samples and scripts and keep a record of your courier details. Labels for returning scripts. Four sheets per school. Attach to the outer packaging containing your packets of scripts.